Siblings Mordy and Jane communicate like proper millennials: primarily through text message and loaded with sarcasm. Their lives flailing on opposite coasts, they hatch an outrageous plan to relieve their mother of the burden of Zad-Zad, their centenarian – and particularly prickly – grandfather. 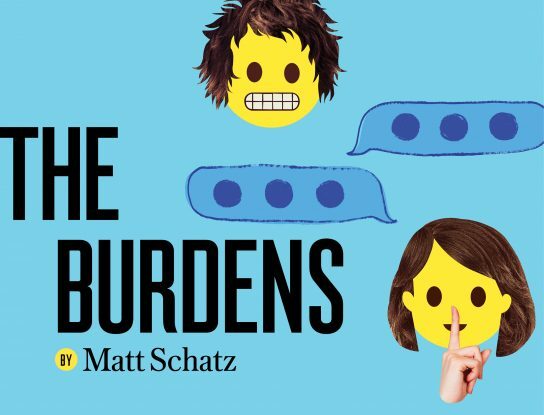 A world premiere dark comedy for the digital age, The Burdens explores pop culture, connection, and the value of actual face time.